Exclusively at Scraps N Company, Lil Mz's Brainstorms introduces Green Lucky. This personal use scrapkit contains 100 elements and 15 matching papers. 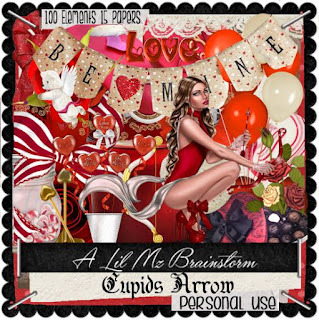 Lil Mz's Brainstorms introduces Be My Valentine. This personal use scrapkit contains 100 elements and 15 coordinating papers. Since someone was kind enough to report not only the links to my store as well as Lysisange's store. here are the links to the tubes store and the kits store for the matching sets. 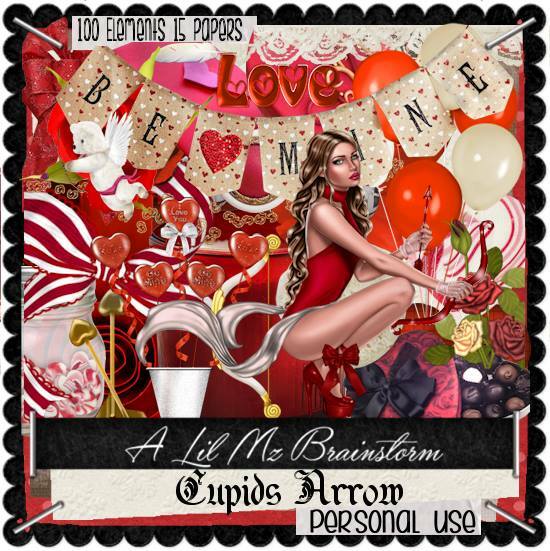 Lil Mz's Brainstorms introduces Cupids Arrow. 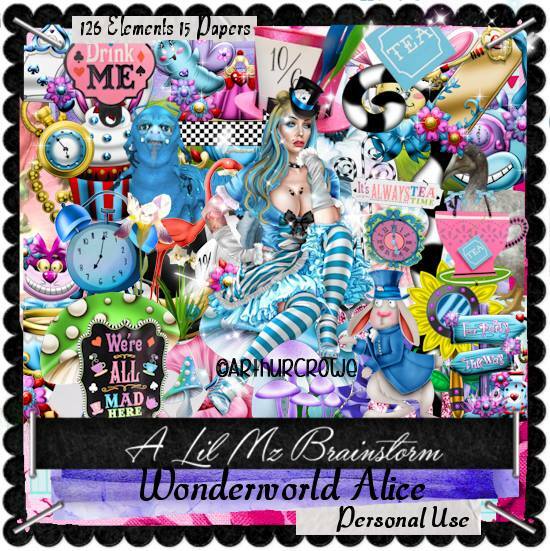 This personal use scrapkit contains 100 elements and 15 matching papers. The tube is ©Elegance-Tarya and is included for use in this kit ONLY! 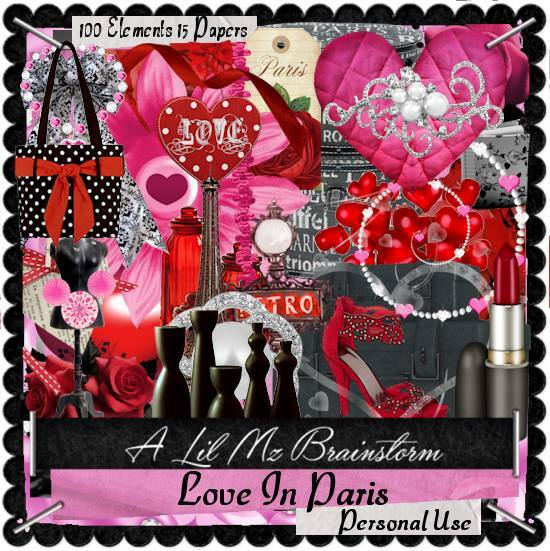 Exclusively at Lil Mz's Brainstorms, Love In Paris is a personal use scrapkit that contains 100 elements and 15 coordinating papers. 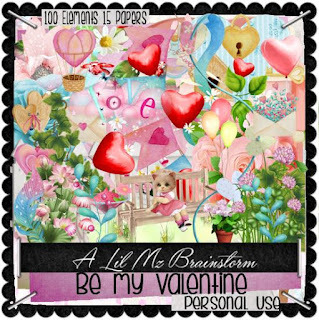 This kit is a match to the Lysisange tube, Love In Paris, but may be used with any of your designs. 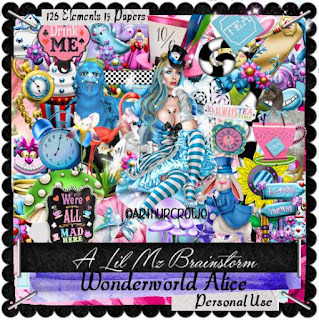 Lil Mz's Brainstorms introduces Wonderworld Alice. 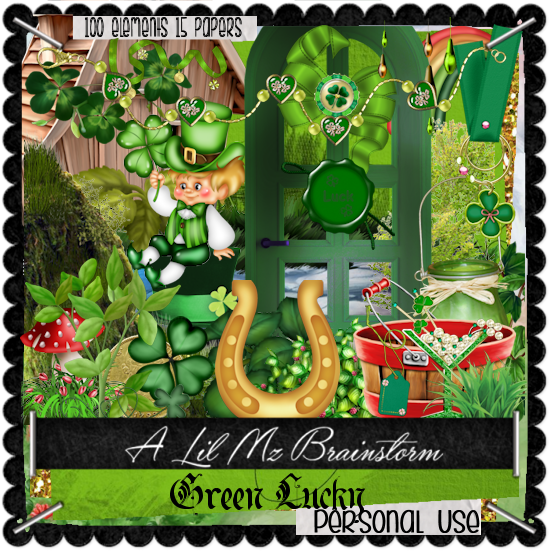 This personal use scrapkit contains 126 elements and 15 matching papers. The tube is ©Arthur Crowe and is included for use in this kit ONLY! Exclusively at Scraps N Company, Lil Mz's Brainstorms introduces Glamourous Steampunk 6. This personal use scrapkit contains 102 elements and 15 matching papers. 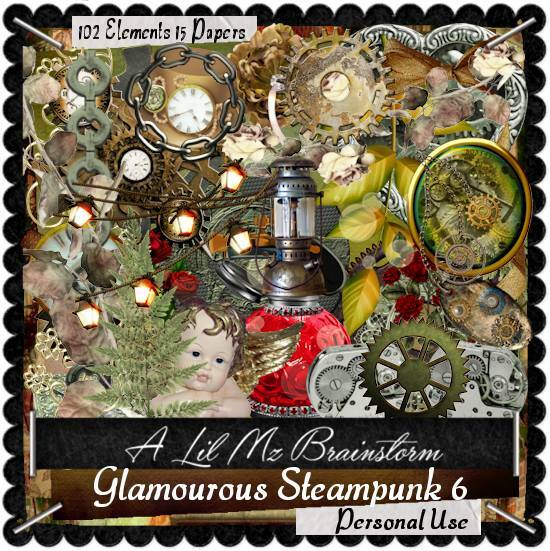 This kit is a match to the Julia Fox tube, Glamourous Steampunk 6, but may be used with any of your designs.